This tutorial is officially written by DrayTek. You can find the original tutorial here. Since firmware version v3.9.0, Vigor Router supports dialing out an IKEv2 EAP VPN tunnel to a NordVPN server. 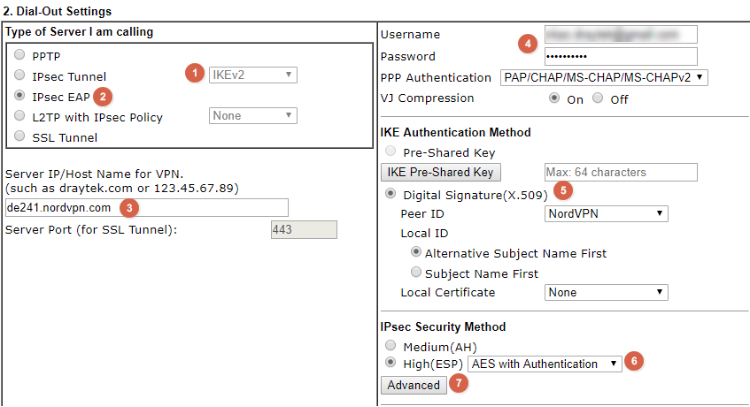 This tutorial shows how you can create an IKEv2 EAP VPN tunnel from Vigor Router to a NordVPN server. Note: Vigor 2860/2925 support the feature since v3.8.9.4. Download the NordVPN root CA certificate from this link: https://downloads.nordvpn.com/certificates/root.der. Get the hostname of a NordVPN server of your choice. You may find a recommended server on this page: https://nordvpn.com/servers/tools/. Log into the router's management page. 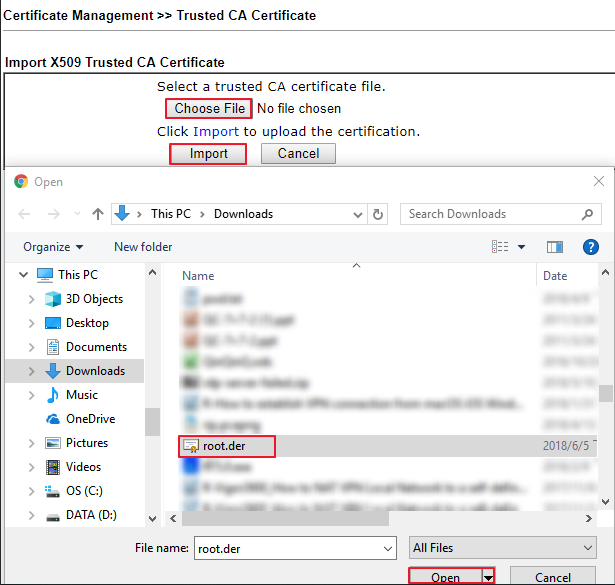 Go to Certificate Management >> Trusted CA Certificate page, and click IMPORT. Click Choose File to select the root.der file we downloaded in step 1. Then, click Import. Wait for a few seconds until the router responds Import Success and the Certificate Status shows OK.
Go to VPN and Remote Access >> IPsec Peer Identity, set the profile name to NordVPN. 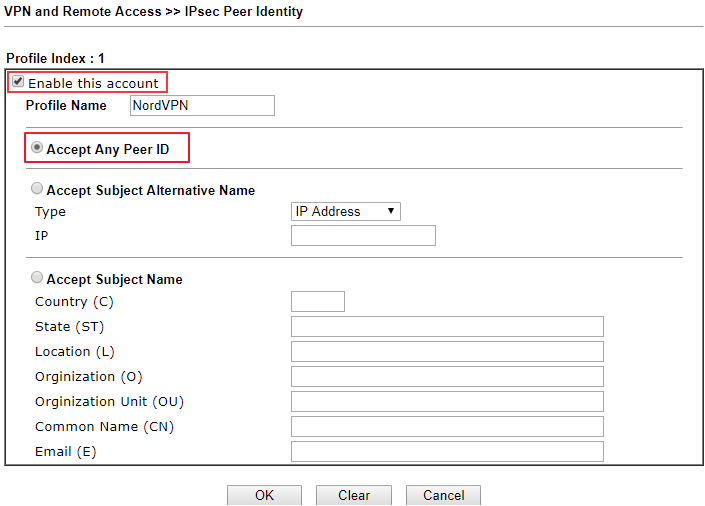 Go to VPN and Remote Access >> LAN to LAN, click on an available index number, and edit the profile as follows. Set Call Direction to "Dial-Out"
(optional) Enable Change Default Route to this VPN tunnel option if you want to route all traffic through NordVPN. After finishing the above settings, you can check the VPN status via VPN and Remote Access >> Connection Management page. (optional) You can create Policy Route via Routing >> Load-Balance/Route Policy to send specific traffic to the NordVPN tunnel. 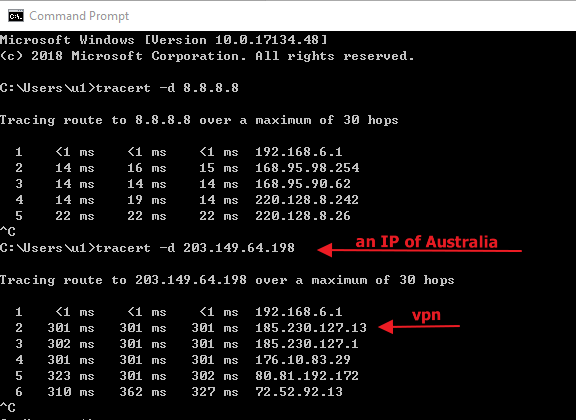 To verify the policy, you can use the command “tracert” to check if the defined traffic is going through the VPN tunnel correctly.